We are truly excited to be part of the GROWTH partnership along with such a remarkable group of institutions. Maryland is intimately involved both in the science and education/outreach components of GROWTH. With other partners we are helping to develop a new undergraduate curriculum for time-domain astronomy, with a particular focus on engaging under-represented groups in STEM education. We have a number of educational programs (e.g., GRADMAP) and experience with inverted classroom formats that we believe will benefit the entire GROWTH collaboration. Scientifically, the opportunity to make use of continuously available suite of robotic telescopes will greatly facilitate our studies of tidal disruption events and gamma-ray bursts. Our team at University of Maryland brings to GROWTH signficant expertise in a number of critical areas of time-domain astronomy (e.g., tidal disruption events, gamma-ray bursts, supernova shock breakout). We are also partners in the 4.3m Discovery Channel Telescope, which we have already begun to integrate into the GROWTH network. Both in terms of new scientific capabilities and curriculum development, we really look forward to forging new ties with collaborators around the globe. At the Center for Gravitation, Cosmology, and Astrophysics at the University of Wisconsin Milwaukee we look forward to exploring multi-messenger astrophysics through GROWTH, integrating optical, radio, and high-energy astronomy with gravitational waves and neutrinos. 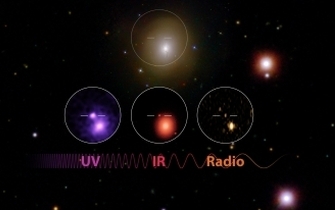 We bring to GROWTH a large body of expertise in multi-wavelength observations of compact objects (white dwarfs, black holes, and neutron stars) and connecting node to several ongoing efforts to study the transient radio sky. We are also excited about the opportunities that GROWTH provides for integrating undergraduate education with cutting-edge research. As part of the GROWTH team, TTU is involved in the hunt for radio (and X-ray) counterparts to gravitational waves. The first direct detection of gravitational waves by LIGO has officially marked the start of a new era in gravitational wave astronomy, and we are excited to be part of the global venture aimed at uncovering the electromagnetic properties of the yet-to-be-explored gravitational-wave transient sky. Radio (and X-ray) emission is powered by non-thermal radiation from relativistic electrons. Thus, it probes the fastest (most relativistic) ejecta from cosmic explosions (supernovae, gamma-ray bursts, etc.) and collisions (compact binary mergers) that are also promising sources of gravitational waves. 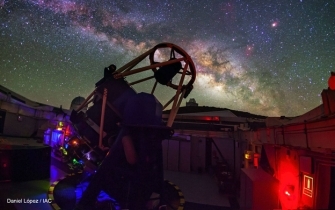 Using a suite of telescopes including the Karl G. Jansky Very Large Array and the Swift X-ray Telescope, we are working with the GROWTH team to open a new window on the universe! As a member of the ZTF partnership and in light of our strong interest in supernovae and rapid follow-up of transients, GROWTH is an excellent network to be part of. OKC is arguable among the strongest research environments in supernovae, including both the astrophysics of stellar explosions and their use as cosmological light posts for the study of fundamental physics, mainly the expansion history of the universe. We expect to use the GROWTH platform to attract many students to Stockholm where they can work on exciting projects with us at the frontiers of time-domain astronomy. In addition, telescopes in the Canary Islands and Chile to which we have access are now part of the follow-up network of GROWTH. Last but not least, the educational aspects of the project are potentially very valuable. The Graduate Institution of Astronomy at National Central University in Taiwan has been a long-standing partner in the PTF and iPTF projects with already planned participation in Zwicky Transient Facility (ZTF) poised to trigger daily discoveries of transient events. Joining the GROWTH network was a natural step for the NCU allowing us to follow-up the discoveries with our one-meter Lulin telescope. Our main science interests and expertise we bring to GROWTH lie in Solar System minor bodies (NEA, asteroids, comets), variable stars and transients. We also plan to use the GROWTH platform to learn about techniques to robotize telescopes and contribute to the education and training of the next generation of graduate students and young postdocs in the era of ZTF via frequent students/postdocs exchanges within the duration of GROWTH project. The interest of our group at IITB span the entire range from modeling and simulations, direct detection, to electromagnetic follow-up of gravitational wave (GW) sources. GROWTH is the perfect example of the global networks necessary for ground-based search and study of GW source counterparts. IITB and the Indian Institute of Astrophysics are jointly operating a fully automated 0.7m telescope in the Himalayan mountains, largely dedicated to the GROWTH program.